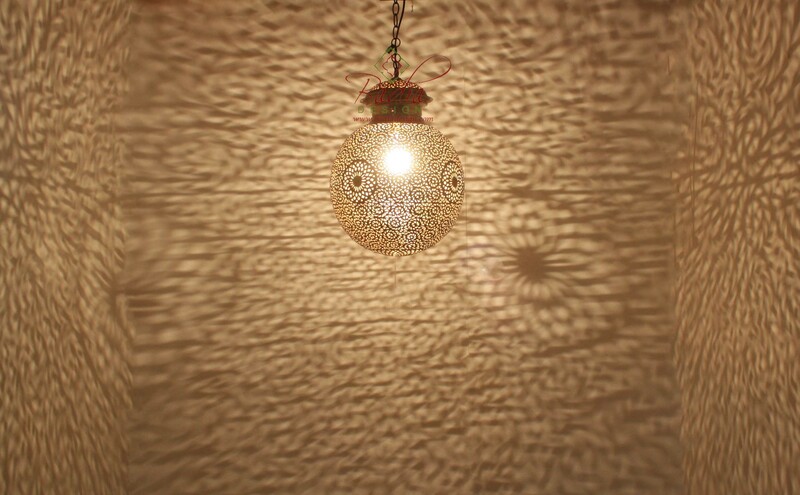 Moroccan Intricate Design Round Brass Lantern from Badia Design Inc.
Hand Punched Moroccan Brass Ceiling Light Fixture with Traditional Moroccan Floral Patterns and Geometric Cutouts. A focal point for the entryways, rooms, bedrooms, bathrooms or empty corners. It adds a uniquely foreign touch to your home! Click the button below to add the Intricate Design Round Brass Lantern - LIG319 to your wish list.